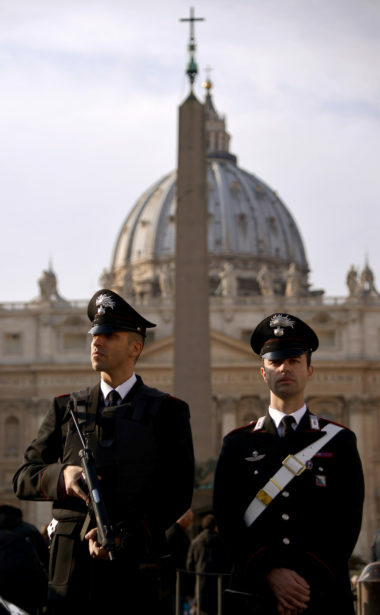 Italy deports two Moroccans and a Syrian as part of ongoing crackdown on radicalization. Italy said on Saturday it had deported two Moroccans and a Syrian on security grounds, lifting to 202 the number of potentially dangerous Islamists expelled since January 2015, AFP reported. 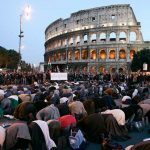 The announcement came as security was raised in Italy after vehicle attacks in Barcelona and elsewhere, and a widely-reported warning from the Islamic State (ISIS) group that Italy is next on its hit list. Administrative expulsions, which are not subject to any appeal, are one of the main planks of Italy’s strategy for preventing the kind of jihadist attacks suffered by other European countries. The latest individuals deported included a 38-year-old Moroccan said to have been radicalized while in prison for minor crimes. His status was bumped from medium to high risk after he and other prisoners were seen enthusiastically celebrating the Stockholm truck attack in April which killed five people. The Syrian, who also operated under a false Tunisian identity, was arrested in 2015 for involvement in illegal immigration and placed under house arrest at a center for asylum seekers in southern Italy, according to AFP. There, he was caught celebrating the attack in May that killed 22 people, many of them children, at a concert in the British city of Manchester. The suspect, whose age was not released, had managed to avoid the fate of two previous expulsion orders issued in 2011. The third man expelled was a 31-year-old Moroccan whose expressions of support for ISIS were thought to be linked to a psychiatric disorder for which he received compulsory treatment after being arrested for theft. The interior ministry said all three had been flown back to their respective countries of origin. The expulsions came after two terrorist attacks in Spain, in which a van plowed into crowds in Barcelona, killing 13 people. Hours later, police shot dead five people in the Catalan resort of Cambrils, located some 120 kilometers (75 miles) from Barcelona, after they drove their car at pedestrians and police officers. On Friday, two people were killed and six others wounded in a stabbing in the city of Turku in western Finland. Police said they were investigating the stabbing as a terrorist attack. Italy is regularly threatened by ISIS propagandists. SITE, a private intelligence group which monitors extremist organizations, said Saturday it had picked up fresh online messages promising the country would be next to be targeted.